A Dodge Grand Caravan was involved in the accident. ETNA GREEN — Kosciusko County officials are currently investigating a motor vehicle traffic crash on CR 225N, near CR 950W Etna Green. One male juvenile subject sustained critical injuries in the one vehicle pedestrian collision. At approximately 6:54 p.m. Tuesday, May 8, the Kosciusko County Sheriff’s Department received a report of a pedestrian crash. The crash involved a west bound Dodge Caravan which struck a 5-year-old boy who ran into the roadway. 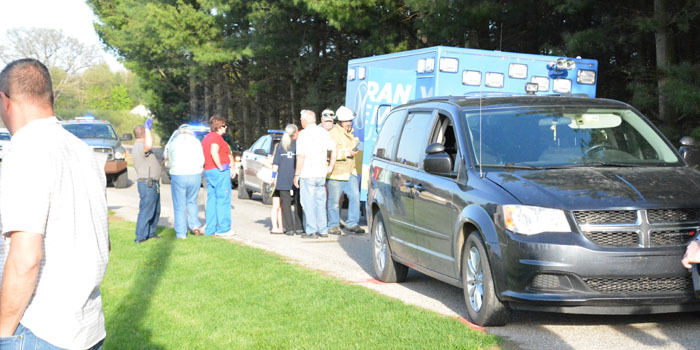 The Dodge Caravan was operated by Carolyn Kaiser-Rapp, 76, Etna Green. The Dodge Caravan sustained minimal damage from incident and was not towed from the scene. Kaiser-Rapp was not injured in the crash. The 5-year-old boy was identified as Michael Haverstock of Etna Green. He was airlifted from the scene to Parkview Hospital Fort Wayne for treatment of possible head injuries. Haverstock was considered to be in stable condition at the time of this release. Officers stated that the crash is still currently under investigation. The Kosciusko County Fatal Team was assisted at the scene by members of the Etna Green Fire Department, Mentone Police Department Lutheran EMS and Lutheran Air Ambulance. 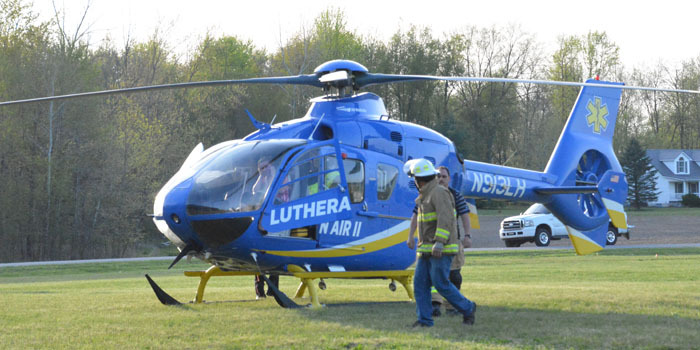 A 5-year-old child was transported by Lutheran Air II to a hospital in Fort Wayne.